There's a reason why Cult Gaia's accessories are seen all over style blogs and Instagram - they're undeniably cool and photograph so well. 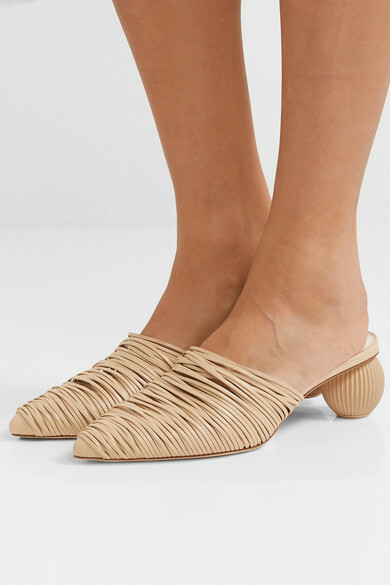 Made from strips of leather, these 'Pia' mules have a sleek pointed toe and are set atop a spherical carved heel. 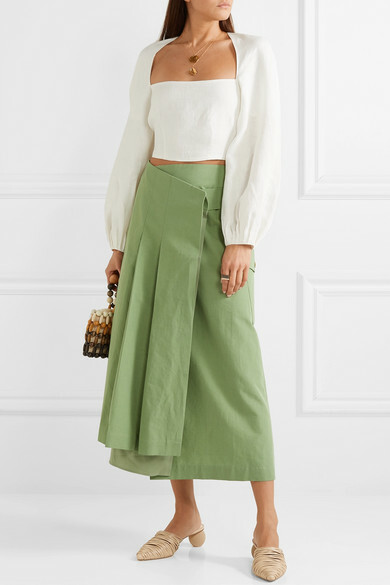 The sand hue is perfect for tapping into - or pairing with - this season's neutrals.